I know by now everyone has heard of the book, The Well-Dressed Home by Annette Tatum. I blogged about her book before here. The book tells us how to design a wardrobe inspired home! 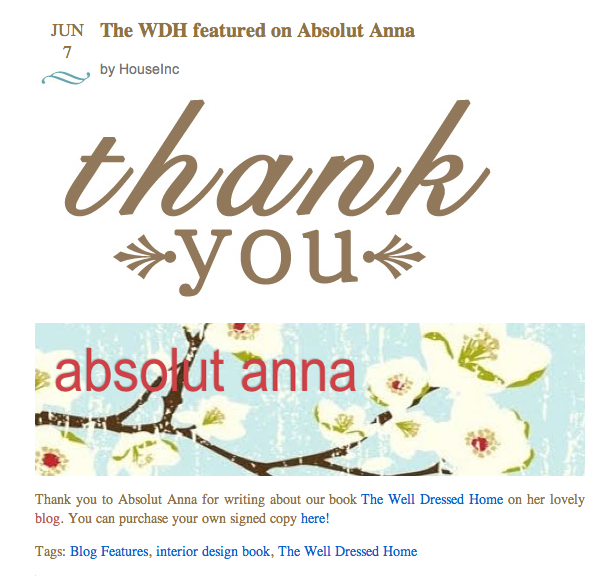 Well, today I'm super excited because Annette took time to thank me on her blog for posting about her book. If you haven't seen it already, hurry and buy a copy of it! Buy her autographed book here. See her post here. Visit her site here. View it in my bookstore here. Thank you for the thank you Annette. You are truly an inspiring woman!